When Col Muammar Gaddafi said earlier this year that he would “fight to the death” in the face of the revolution taking place in Libya, he wasn’t joking around. Flashing across the screens of virtually every news program today have been images of the fallen dictator who died today after his last Libyan holdout of Sirte fell. Gaddafi, as readers of JiC will know well, was being pursued by the International Criminal Court. His death – once independently verified – will bring the ICC’s investigation into his role in the brutal oppression during the Libyan “Arab Spring” to an end. His death also saves the West and Libya from dealing with some very difficult questions and embarrassing revelations. But is it justice? 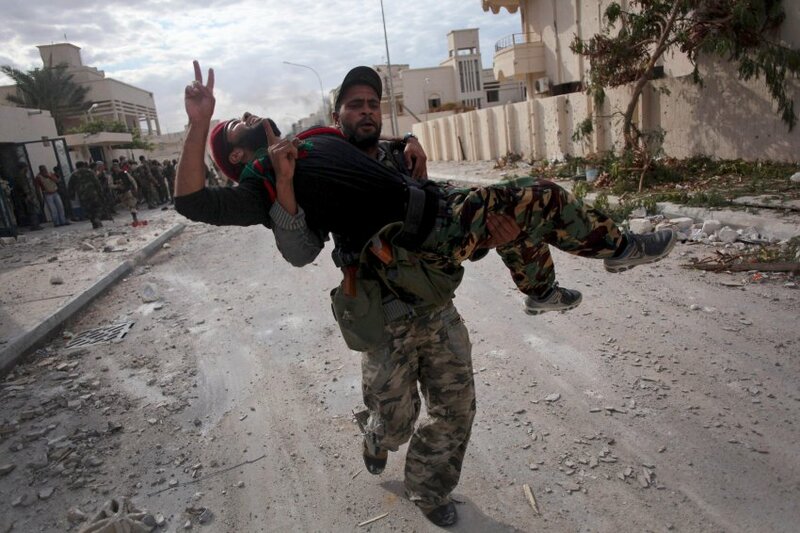 For Libya, it makes the question of holding Gaddafi to account a moot point. The country’s National Transitional Council (NTC) had said it would try Gaddafi in Libya, something met with skepticism by many in the human rights and international law community. With his death, the pesky question of how and when to try Gaddafi is irrelevant. It is also important to remember that key members of the NTC were very close to Gaddafi during his brutal rule. Some of their shady secrets will now surely lie with their former boss, six feet under. However, killing Gaddafi may have been a missed opportunity to demonstrate – to Libyans and the world – that the rule of law would be a cornerstone of the new, post-Gaddafi Libya. While throngs of Libyans are understandably elated with news of their tyrant’s demise, they would surely have been similarly thrilled to see him in the dock, facing his victims. For the international community, particularly Western states, there’s little doubt that they would find some comfort in knowing Gaddafi will never be in the dock. The dreadful irony of the conflict in Libya is that precisely the same states that have intervened to remove Gaddafi from power on behalf of humanity had been responsible for propping up his regime for years. These Western states have artfully dodged any serious scrutiny into their role in ensuring that Gaddafi had the military, political and economic capacity to oppress the people of Libya. Further, the conflict has shed light on serious breaches of conscience by the US and the UK in particular. By killing Gaddafi, the obvious truth is that he will never appear before any court to defend his actions or to explain them. He will thus never have the chance to disclose how so many of the weapons and so much of the money he had, he received from the West. Moreover, Gaddafi’s death will, in the popular imagination and amongst most Western polities, close the book on Libya’s transition and, in so doing, put to rest any public scrutiny into the West’s role in pre-revolution Libya. The next few days will hopefully give us more detail on what exactly happened and how soldiers were ordered to treat – or not treat – Gaddafi. For now, it is all too reminiscent of the Obama administration’s flimsy justification of assassinating bin Laden because he was resisting arrest, only to admit he was doing no such thing. Was it ever about “Justice”? But if killing is not justice, then Gaddafi’s death – especially if he was shot in the head after being captured alive – is more problematic than we may think it is. The important question becomes: was the NTC’s goal justice or death? Jibril’s comments seem to underpin a key belief that the goal was always about killing Gaddafi. With the assassination of bin Laden, the dramatic increase in the use of drones and, now, the death of Gaddafi, it is worth wondering whether we are in the midst of a shift where the killing of individual enemies is a first instance of “justice” being served. That surely will not sit well with proponents of international criminal law and the global rule of law. 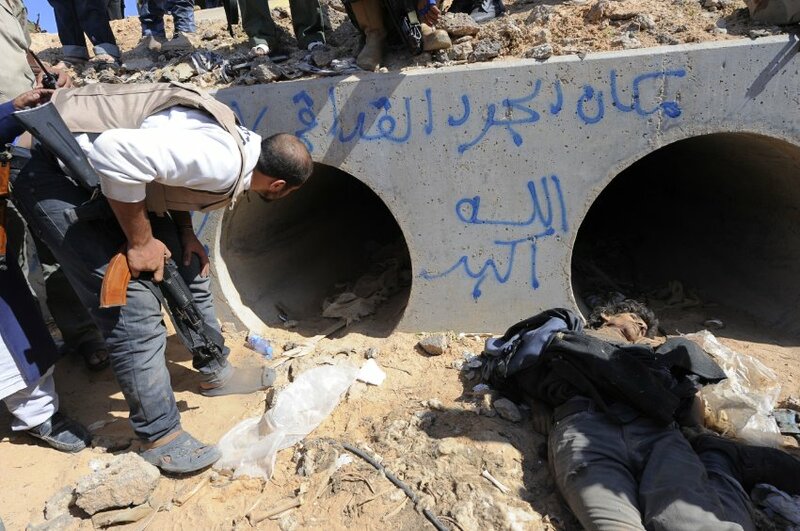 It’s important to remember that, despite Gaddafi’s death, the ICC can still investigate other crimes in Libya – including any committed by anti-Gaddafi forces. The Court’s jurisdiction to investigate other perpetrators does not cease with Gaddafi’s death. Further, Saif al-Islam, also wanted by the Court, and whose fate has been largely neglected, remains at large, reportedly in the south of Libya. While Libyans can finally celebrate their liberation from the clutches of a tyrant, the pursuit of justice and questions surrounding “justice” will not end with the life of Gaddafi. This entry was posted in Human Rights, International Criminal Court (ICC), Justice, Libya, Libya and the ICC, Middle East, Osama bin Laden, Osama bin Laden and international law, The Tripoli Three (Tripoli3), United Kingdom, United States, War crimes. Bookmark the permalink. 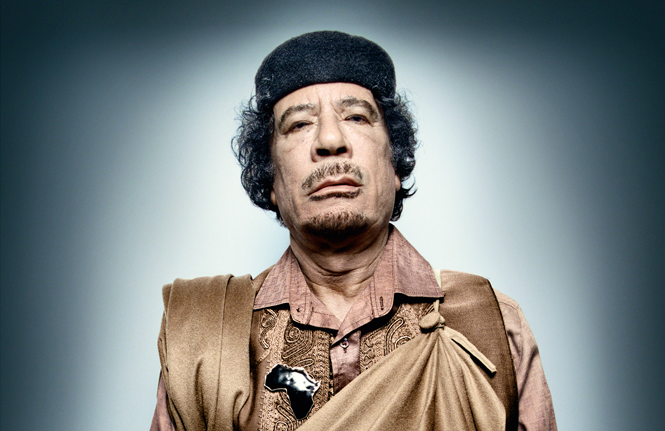 8 Responses to Gaddafi’s Death: What now? What Justice? Overcomplicated. Unless you’re a vegan or suffered directly under Gadaffis crimes, there is no logical and ethical grounds for criticising his murder. That was a “crime” of passion and if the victim was the person who dismantled the legal system as is the case here then it is fair to call this natural justice. What an interesting read. Just came across your blog and i am finding it incredibly insightful. I also think it is a pity and a missed opportunity that Gaddafi will not be tried, especially tried by the ICC. So the Sun manages to sink lower than ever in my opinion by putting *that* photo of dead Gaddafi on it’s cover. Where’s the sense in it? Interesting how the dictator is cneridesod more important than the nation. Zuma is not just returning a favour or selling out for a little cash, There is a deeper problem of rulling class entrenchment. No wonder south Africa is in such a mess. Maybe it’s time for a little spring cleaning in south Africa. If it is simply a way for dictators to swap favours or hide behind the AU should be disbanded. Is there a list of crimes committed by Gadaffi? other than the well known crimes against the West. Has he really been a cruel dictator as we are led to believe? I think my Libyan students would disagree. 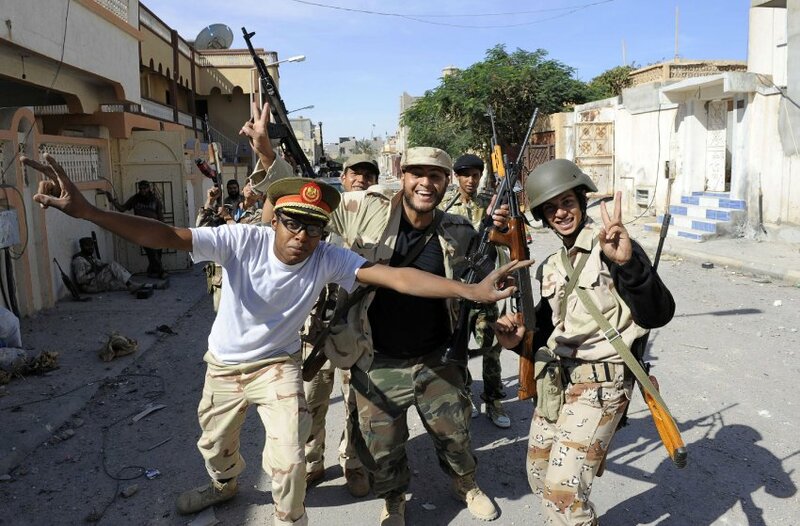 Only last week they told me how grateful they were to Britain and the West for helping them dispose of Gaddafi.